sure-thing! has no other items for sale. $1.99 shipping for each additional eligible item you buy from sure-thing!, when you use the cart to make your purchase. The product arrived before expected and everything was great. Excellent product! Brand new & packaged well! Thank you!! Excellent product!!! Worked the first time! Fast shipment, smooth transaction! Thanks!! It’s a little pricey for ounces, but you get what you pay for. Works wonders on my hair. Helps with dryness, brittleness, and eliminates that coarse staticky feeling. After using my hair has a lush and smooth feel when running fingers through. Hair also looks better because it doesn’t appear dried out after using mask. 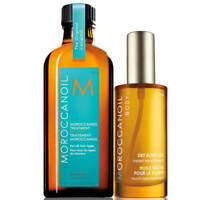 What I really like about Moroccanoil products in general (there’s also a liquid leave-in oil) is that when using proper amount for hair (sometimes I grow hair long or cut short) it never leaves my hair looking or feeling oily, plus I can go a couple days without washing and it maintains a moisturized and non-staticky look. I recommend this mask as an intensive treatment to keep hair healthy. I purchased the morrocanoil intense hydrating mask. It was delivered promptly and in good condition. I just would have preferred that type of product to be in the new, original packaging. I don't normally care that much or rate products like this. But this conditioner smells so phenomenal, and you'll notice how soft your hair feels after just one use. Use for a week straight, and it's like you have a new baby's hair. I'm mostly grey, and it softens so amazingly. K, it's hot cheap but you need so little and it works so amazingly. Verified purchase: Yes | Condition: new | Sold by: sure-thing! 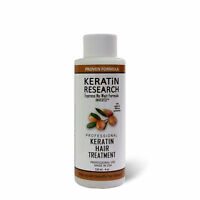 Great detangling and deep conditioner and it works fast....doesnt leave any weight behind...its my new favorite!